Shy Wolf Sanctuary Education & Experience Center forms partnerships with area organizations in our Healing Hearts program. Because our animals come to us from abused, abandoned and neglected situations, a magical healing connection is made with humans who have had similar experiences in their lives. Our animals teach us about kindness, forgiveness, gratitude, courage and unconditional love. Guests visit our sanctuary and experience an animal encounter with some of our animals. They learn about our animals, how they were rescued and that these animals live the rest of their lives here at the sanctuary. After the visit, they have fun working on art projects from painting wolf houses to making holiday ornaments and other animal inspired items. Finally, lunch is enjoyed next to our cougar Cimarron’s enclosure. During this creative experience, healing happens to help build confidence and self-esteem. Our guests receive a very special necklace with Indy’s wolf hair enclosed in a glass vile. Why Indy? Our Indy girl is blind, but she is always happy and always finds her way. We teach that if Indy can find her way, then so can our guests. The wolf now walks with them giving them courage and strength to find their way. If your organization would like to become a partner in our Healing Hearts program, please contact: education@shywolfsanctuary.org. Children’s Network of SWFL is a private, nonprofit lead agency that administers the child welfare system in Lee, Collier, Charlotte, Hendry and Glades Counties. Their mission is to work with the community to protect children and preserve families. 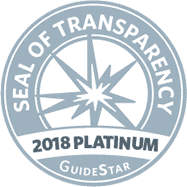 Children’s Network is responsible for over 2,300 abused and neglected children, and delivers a comprehensive local system of care through subcontracts with more than 50 social service agencies. The agency also serves approximately 125 at-risk community children each month in our Diversion Program. Since the agency’s founding in 2003, Children’s Network of SWFL has worked so that our communities’ children are safer, have better access to local resources and are able to have a stable, loving, and secure home environment. The Shelter for Abused Women and Children operates a 60-bed emergency shelter with pet kennel; seven transitional living cottages; outreach services, training and education throughout Collier County, FL, with offices in Naples and Immokalee. Programs are provided at schools, the courthouse, community centers and at partner agency locations. Their mission is to lead and collaborate with the community to Prevent, Protect and Prevail over domestic violence and human trafficking through advocacy, empowerment and social change. The Shelter envisions a community free from domestic violence and human trafficking, where individuals and families can live in safety and peace. Valerie’s House is a loving place for grieving families where children learn that loss doesn’t have to limit their dreams. It is a special place for children and families in Southwest Florida to connect with one another and learn the tools to heal after they have experienced the death of someone they love. Their mission is to help children and families work through the loss of a loved one together and go on to live fulfilling lives. Their vision is that no child will grieve alone. Youth Haven is Southwest Florida’s emergency residential shelter for boys and girls ages 6-18 who have been removed from their homes due to abuse, neglect or abandonment. Children coming to Youth Haven are severely traumatized and in crisis. Youth Haven is an immediate lifeline of safety, love and compassion for innocent children in crisis and first step in a long journey back to trust, confidence and joy. Youth Haven’s mission is to protect and empower children and strengthen families in Southwest Florida through comprehensive care and community collaboration. PACE Center for Girls believes in girls. PACE has developed a nationally recognized, research-based non-residential program model that features a balanced emphasis on academics and social services, with a focus on the future for middle and high-school aged girls and young women. The foundation of PACE is a gender-responsive culture which provides a safe environment that celebrates girls. 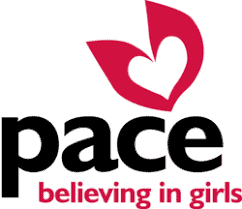 PACE offers services that take into account how girls learn and develop and its supportive staff members respond to and celebrate each girl’s strengths and challenges. The holistic, strength-based, and asset building PACE program model addresses the needs of girls and has garnered recognition nationally as one of the most effective programs in the country for keeping girls from entering the juvenile justice system.